> I've forgotten my password! Abaana currently has homes for around 42 street children. These six New Life Homes offer them a safe refuge, food, medical care and an education. 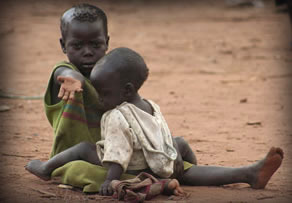 Last year we told you the horrifying story of Emmanuel, a 16 year old orphan from the north of Uganda. While living on the streets Emmanuel was set alight and suffered terrible burns to his upper body. Emmanuel now lives at Abaana's New Life Caleb home. 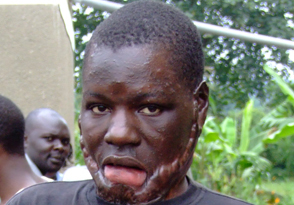 In February he had several operations to repair his skin and the damage caused by severe burns. Again in July he underwent surgery. Emmanuel can only move his neck slightly as he is still suffering internal pain. However, his shoulder has healed and now he is able to dress himself. With your help, we want to get as many children off the streets as possible, give them an education and an opportunity to fulfil their dreams. 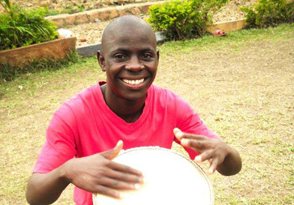 To read Emmanuel's story, please click here. 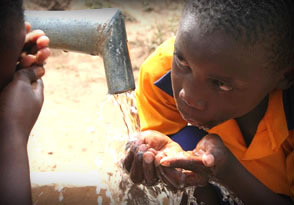 Fast4Africa is run by Abaana - a charity for the children of Africa.